We sell over 50 types of Yorkie collars in various sizes from S to XL. 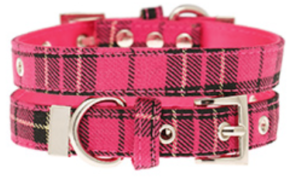 We have fantastic pink collars with Swarowski crystals, blue crocodile leather collars, and even camouflage leather collars! We also offer personalized dog collars with the name of your special dog. 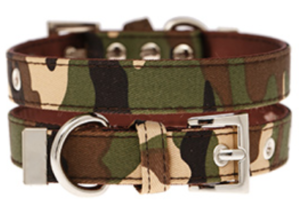 Check out the collar section of our online store here!